It’s Learning Disability Week this week, so we’re sharing some of our favourite success stories from our life and work programme at my AFK. We know that employment is an important part of life for many people. It gives people economic independence as well as opportunities to socialise with others; to grow and feel fulfilled; to contribute and be part of society. It is estimated that 65 percent of people with learning disabilities want to work; however, only 5 to 7 percent are in employment. We want this to change. At my AFK, our mission is to give as many young people with disabilities as possible the opportunity to work or volunteer in their community. 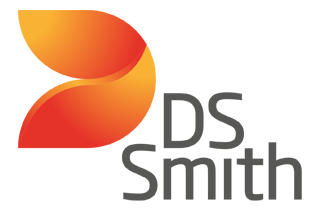 Our team of specialised job coaches provide support to both disabled employees and to employers, guaranteeing a great experience for everyone involved. 88% of trainees who got paid work through a placement from my AFK are still in employment. 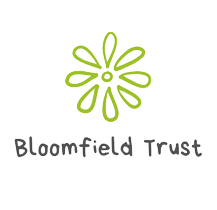 We are proud of the work our job coaches and volunteers do to support young people with learning disabilities into work – 88% of trainees who secure a job through one of ourwork placements are still employed, either for the same or another company. We think that’s definitely something to celebrate! 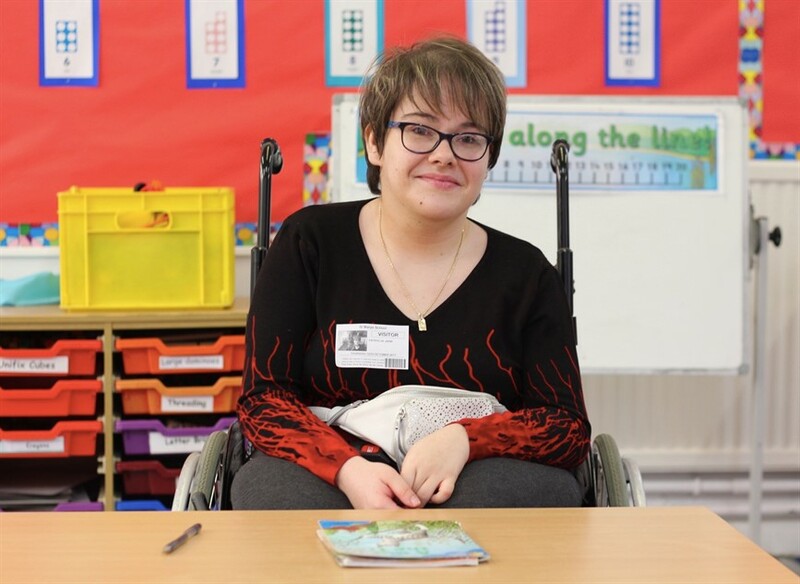 Patty recently completed a work placement as a classroom assistant at St. Mary’s Primary School in Hornsey. She helped children develop their literacy skills and provided general classroom assistance. Why is work important to you? 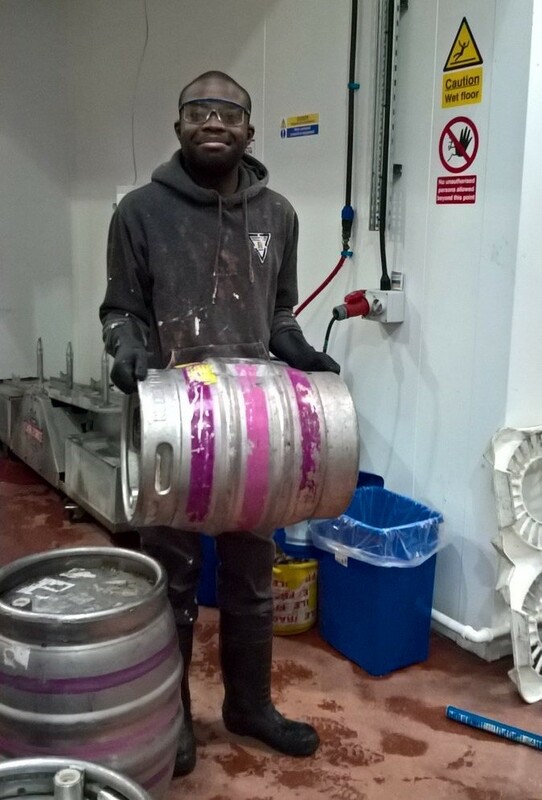 Steve has done lots of different things during his work placement at Redemption Brewery: using brewery equipment to check and wash the casks, packaging beer into bottles and labelling them. Why is work important to you and what do you want to do next? 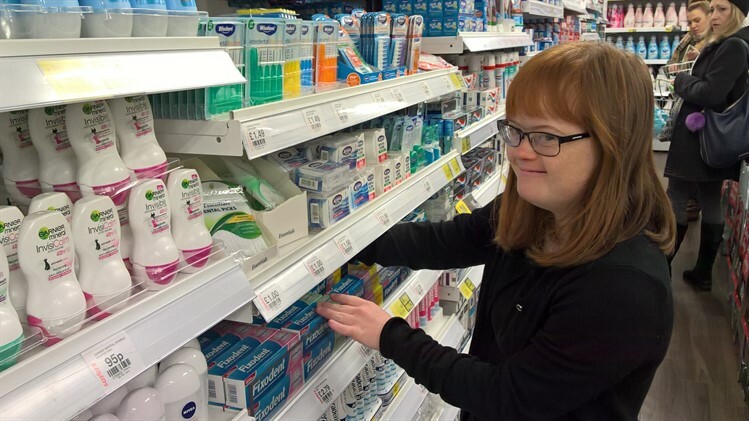 Lucy recently secured a paid job at Savers Health and Beauty as a shop assistant, where her duties include stacking shelves and customer service. Click to read part 2.